Car shopping in the Saint Joseph area? Look no further than the new vehicle inventory at Dominion Chevrolet. We have a wide variety of models in stock, from the popular Chevrolet Equinox to the fan favorite Chevrolet Silverado 1500. When you’re ready to take your Benton Harbor commute to the next level with tech like Apple CarPlay and Android Auto, stop by Dominion Chevrolet to pursue the Chevrolet models for sale in Bridgman, MI! 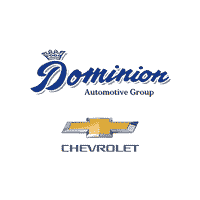 Why Choose a New Chevrolet from Dominion Chevrolet? Our sales team is standing by to get you behind the wheel of the model that best suits your budget and driving needs, and it’s their goal to make the car-buying process that much less stressful. Contact us today to get the process started or to learn about the history of Chevrolet. We’ll walk you through the Chevy Cruze interior, Silverado towing capacity, compare the Chevy Malibu vs. Toyota Corolla, and much more! Whatever you choose, you’ll be heading to all your favorite St. Joseph locations in style in no time.